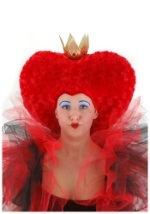 You're not fully ready for tea and tarts until you're wearing this beautiful crown! 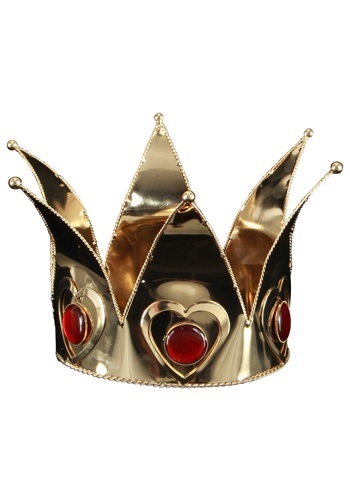 This Mini Queen of Hearts crown is made of shiny gold metal with a fine, embossed trim around the edges. 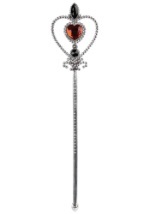 Each point of the crown features small gold bearings, with a heart at the bottom and a red jewel inside each one. 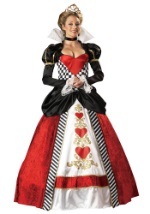 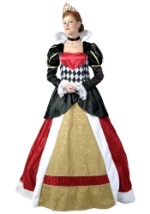 Make it a group costume Halloween and get everyone else an Alice in Wonderland costume!